Warmer for the weekend, then more snow! DENVER — Tonight will be mostly clear for Denver and the eastern plains, with a few areas of light snow continuing in the mountains. Lows will be in the teens to low 20s for lower elevations and range from 10 below to 10 above in the mountains. Saturday through Sunday should be milder and drier across the state. 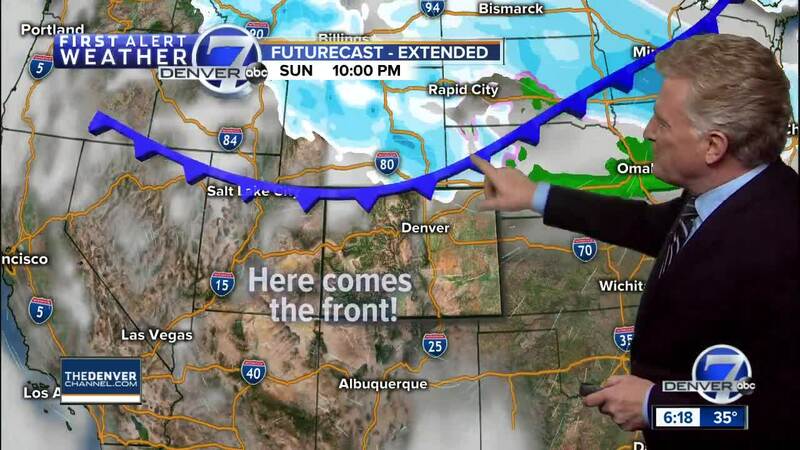 Highs will reach the upper 40s in Denver Saturday with low to mid 50s expected on Sunday. In the mountains, a few snow showers can be expected, but it will be milder with highs in the low to middle 30s.